Brooklyn Bridge is an iconic symbol of New York City. It’s also testament to the city’s role in engineering innovation since it was once the longest suspension bridge in the world. It’s a wonderful sight to see and it’s fantastic to walk across it. It offers some superb views. 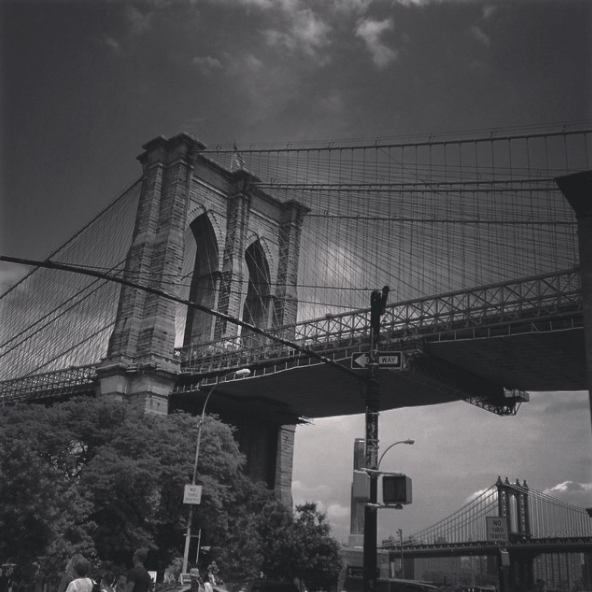 For more information, check out our blog on the Brooklyn Bridge. The Brooklyn Bridge Park in DUMBO is an awesome place to visit. Plenty options for food, fantastic views of Manhattan as well as seating areas at the river. 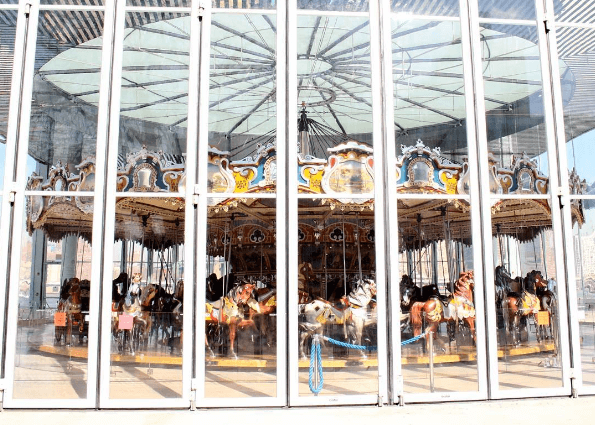 You’ll also find Jane’s Carousel here – a beautifully restored 1920s merry-go-round. 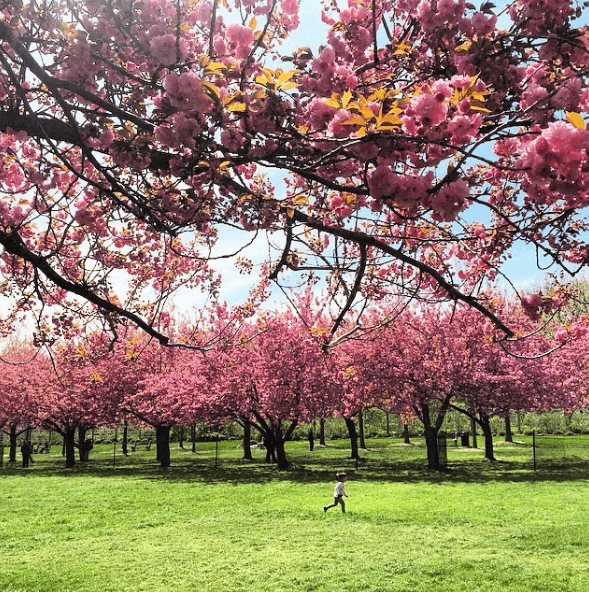 It’s a great time of year to visit the Brooklyn Botanic Garden. It’s home to 52 acres of beauty and peace. There’s also a number of lovely themed gardens – including the first Japanese styled Garden in the USA, a Shakespearean Garden and a beautiful avenue of cherry blossoms, which is the focus of the annual spring time Sakura Matsuri Festival. This vast building is a worthy competitor to the museums you’ll find in Manhattan. The extra benefit is that this space is a little quieter. You’ll find an impressive Egyptian collection and a diverse assortment of European masterpieces. Interestingly it was the first US museum to display African pieces as art. Created by the same people who brought us Central Park, Prospect Park hosts concerts in the summer as well as a zoo, and there’s so much space and trees here that it’s easy to forget where you are! The promenade gives fabulous views of Manhattan – it’s wonderful to stop there and drink it all in. You can also explore the Brooklyn Heights neighborhood full of 19th century brownstones – a sure sign you’re in Brooklyn. 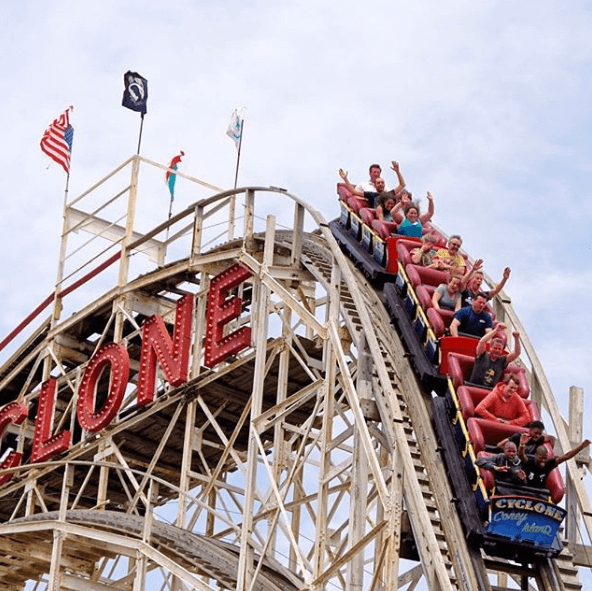 Brooklyn’s Coney Island is a wonderful leisure destination and it’s home to the famous Cyclone Rollercoaster that dates back to 1927. You’ll also find a world famous boardwalk and around 50 or more other rides and amusements. The New York City aquarium is also here, as well as some wonderful places to eat. Brooklyn’s music scene is full of life. If this is your thing, do a little research before you visit to see what’s on when you are in town. One of the great venues is the Brooklyn Academy of Music – or BAM – which will host around 200 performances each year, over a quarter of them are free. This building preserves Brooklyn’s role in history, including an exhibition on ‘It Happened in Brooklyn’, which highlights the role Brooklyn, played in major moments in American history. Fascinating. 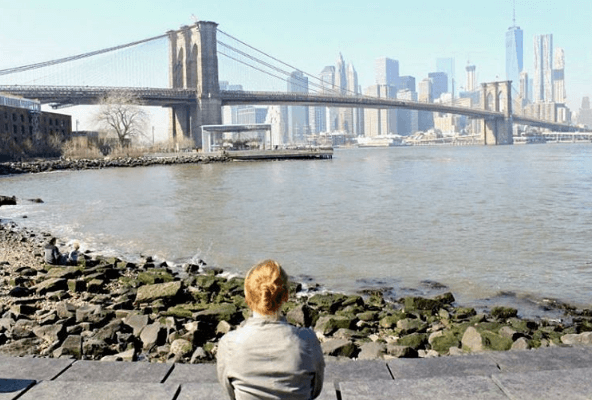 Check out her neighborhoods – like Dumbo. Just spend time in DUMBO – Brooklyn’s waterfront neighborhood. It stands for Down Under the Manhattan Bridge Overpass. It boasts some of the city’s best restaurants, independent stores, parks (see number 2, above) and stunning views of the NYC skyline and the East River. Williamsburg is potentially one of the most popular areas in Brooklyn, if not the city. It’s jam packed with restaurants, bars, venues and markets. Planning to visit New York City and Brooklyn? If you are planning a visit of New York City and Brooklyn, then please be our guest. We are the experts in New York sightseeing and offer lots of different options to help you explore the city, including Brooklyn. One of the best value deals is the Gray Line New York freestyle pass of New York which includes 72 hour access to our hop on, hop off tour buses, a free night tour and admission to 3, 5 or 7 of the city’s attractions. It includes hop on, hop off access to Brooklyn, the Bronx, Uptown and Downtown. We also do a tour of Brooklyn itself.